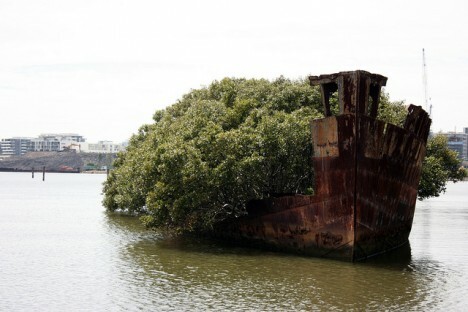 Rusted and half-sunken yet still somehow afloat on the waters of Sydney’s Homebush Bay, the remains of a century-old ship have become fertile ground for a thriving forest. 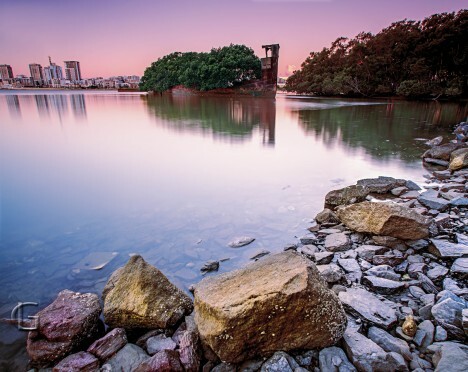 Located on the south bank of the Parramatta River on the inner west side of the city, the bay was a hub for industrial activity in the mid-20th century and became a dumping ground for unwanted materials of all kinds, from busted ships to toxic waste. 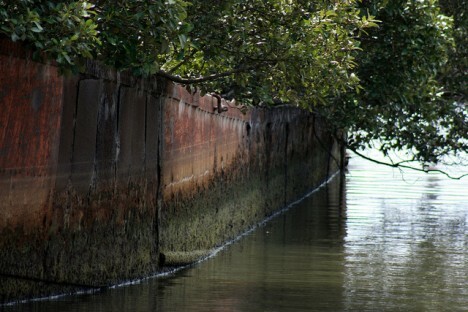 The bay was ultimately rehabilitated, but many of the ships remain, lurking among a tangle of mangrove trees. 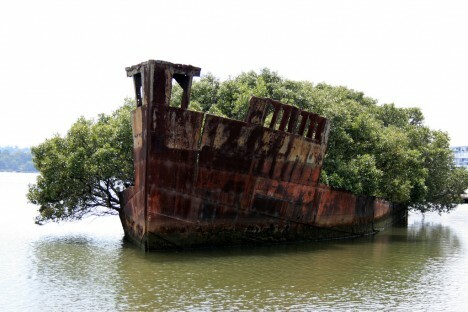 Among them is the SS Ayrfield, which the mangroves clearly found quite hospitable, transforming it into a sort of artificial floating island. In its former life, the Ayrfield was used to transport supplies to American troops stationed in the Pacific during World War II before operating as a collier. 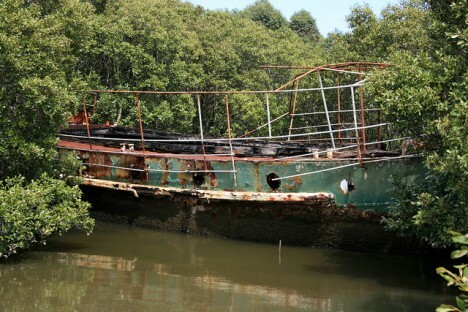 It was sent to Homebush for disposal in 1972 after sixty years of service. 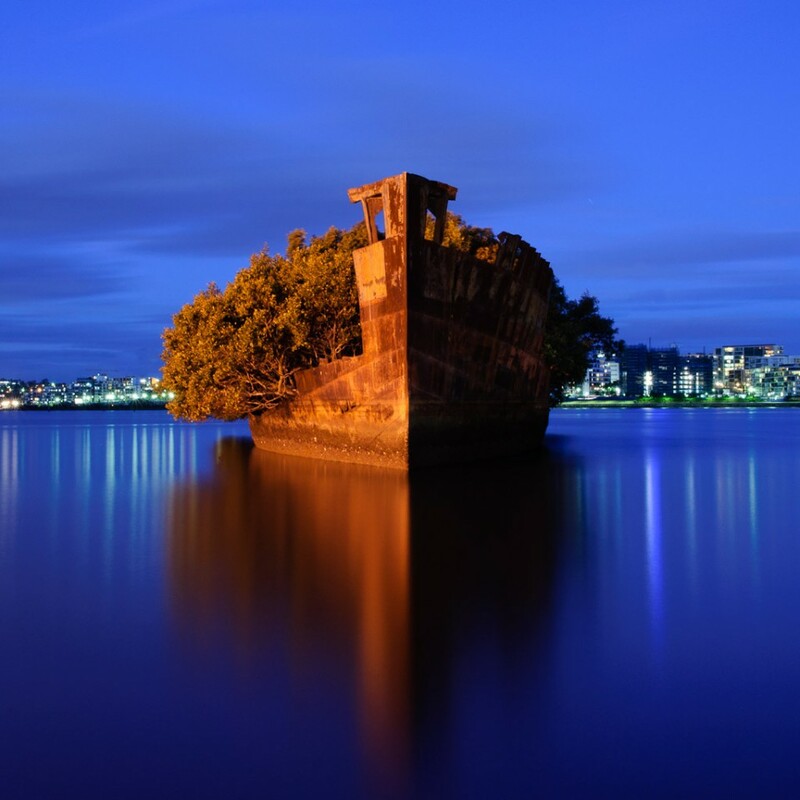 Awash in brilliant hues of red and orange, the hull of the 1,140-ton SS Ayrfield pokes up from the surface of the water, the Sydney skyline looming in the distance. 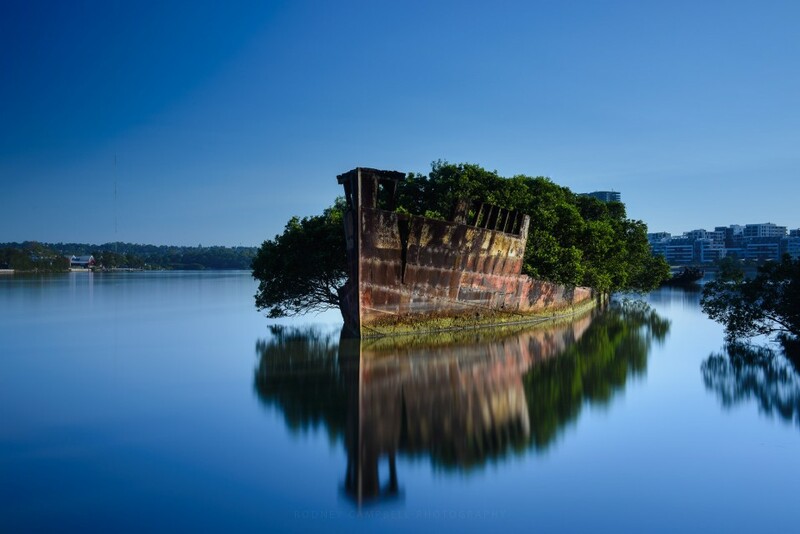 Other ghostly ships in the bay include the steam tugboat SS Heroic and the steel boom defense vessel HMAS Karangi, which helped defend Darwin Harbour from Japanese attack in 1942.